Staying in the luxury Phi Phi villas add a certain exclusiveness to a trip, on what is one of the prettiest islands in Thailand. The privacy and seclusion of Phi Phi villas brings out the best in a travel experience and the space and time to really enjoy away from a hectic world. The luxury Phi Phi villas are mainly in the 4 and 5 star resorts on Phi Phi though some 3 star resorts have villa type beachfront accommodation that can fall into this category. The luxury Phi Phi villas of the Zeavola Phi Phi Resort, Holiday Inn Phi Phi Island, Phi Phi Island Village Resort And Spa are the headline places to stay. In the quieter north of Phi Phi Don they are far from the 'madding crowd' and the main village at the pier. These top resorts have space and position to call themselves luxury. 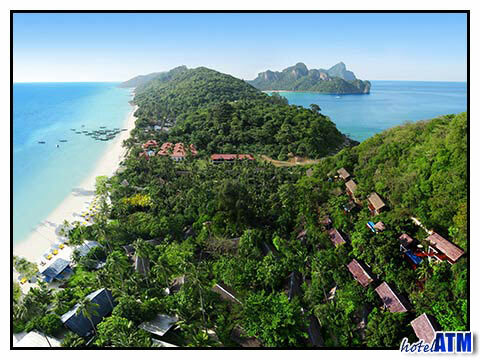 The luxury Phi Phi villas are at Phi Phi Island Village Villa, and the pool villa at the Zeavola Phi Phi Resort. These villas are on the raised slopes of the Phi Phi Don hills and have expansive views over the rest of the resort. These are the type of villas associated with high end lifestyle living in Phuket and Bali. A premium is paid for this level of property but the rewards make a stay on Phi Phi as good as it gets. As these pool villas have resorts amenities, the guests can dip in and out of their privacy and do as much diving, spa treatment or tennis as they like. 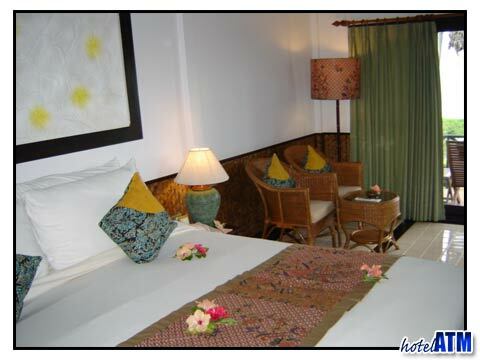 The Coral Beach Studio at the Holiday Inn Phi Phi Island, the Junior Suite Beach Front at the Phi Phi Island Village Resort And Spa and the 3 star Luxury Deluxe Beach Front at the Phi Phi Villa Resort have similar accommodation types and are luxury Phi Phi villas. They are all 'the' beachfront rooms that serve as the 'best rooms in the house', are elegant and have a pleasing decor. This gives the guest the feeling of privilege but gets them closer to the heart of the resort. This might appeal to people who want style and luxury but don’t want to be left 'out of the mix'. The Phi Phi Villa Resort is on the edge of Phi Phi Don Village allowing for a lot more lively nightlife and a greater choice of dining than the Holiday Inn Phi Phi Island and the Phi Phi Island Village Resort And Spa. Unfortunately there are NO luxury Phi Phi villas to rent. Phi Phi Island is so small the only property is owned by hoteliers and the local village people who long ago learnt of the value of land and property. In Phuket, people with second home villas, rent out their property and there is a flourishing, by the weekend or week, business in renting these out but this is not the case on Phi Phi Island. So to recap there are no villas for rent. The is a bit of a misnomer in that it is actually a 2 storey beachfront hotel on the edge of Phi Phi village near the pier. This is fine 3 star accommodation with a celebrated fish restaurant, 'Tonsai'. At the time of writing (June 2012) the Villa 360 Resort And Spa was under refurbishment. Of all the resorts on Phi Phi Island the Villa 360 Resort And Spa is the most similar to the style of hillside resort you find on the west coast of Phuket at Surin and Kamala. The entry level accommodation is more bungalow than villa in the classic sense.